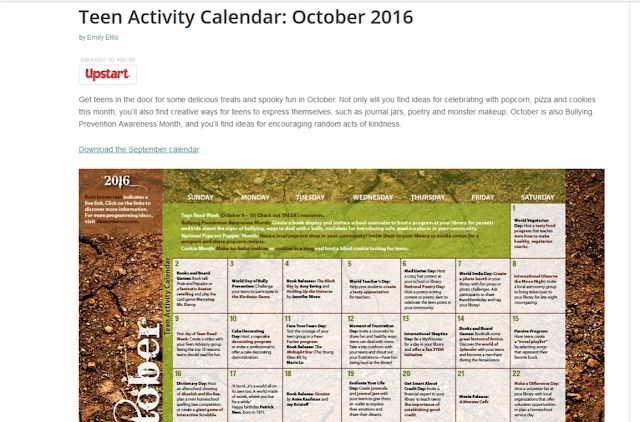 DEMCO just released the October monthly programming calendar geared specifically toward librarians working with teens in public and school libraries on their Ideas & Inspiration blog! There are passive program suggestions, book and board game pairings, special events for national holidays, and special days in history to highlight in your library. No go on! Shoo! Go be fabulous!